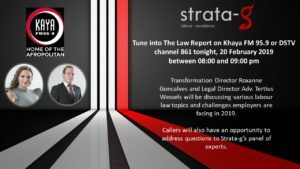 Catch our Transformation Director, Roxanne Goncalves and our Legal Director, Adv. 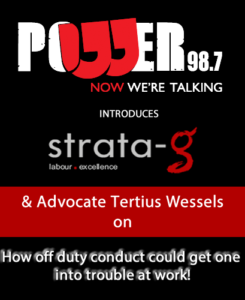 Tertius Wessels on Kaya FM tonight educating all employers in our nation..
Open the link to listen to Adv. 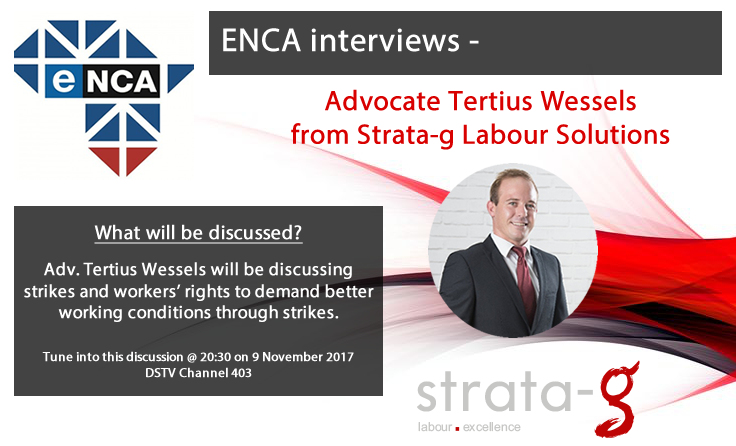 Tertius Wessels, Legal Manager at Strata-g Labour Solutions, advising employers on CNBC Africa on the much debated issues surrounding the resignations of top KPMG employees. Adv. 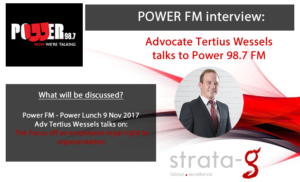 Tertius Wessels will be discussing strikes and workers’ rights to demand better working conditions through strikes. 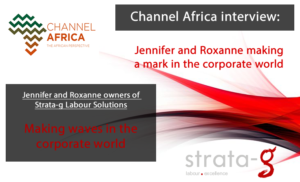 Open the link to listen to the interview of how Jennifer and Roxanne are making their mark in the Corporate world with Strata-g Labour Solutions.